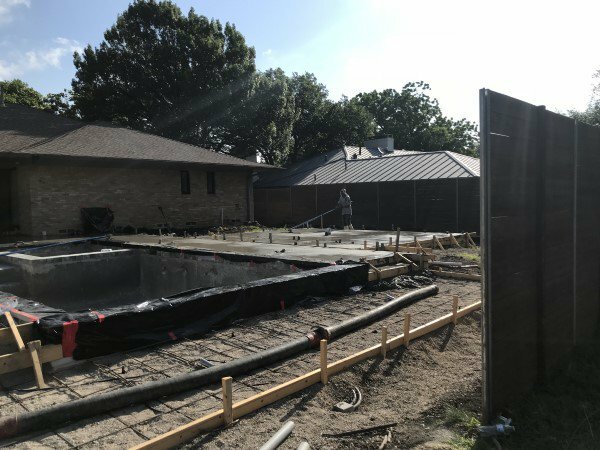 Every element of a pool build is exciting to our passionate pool builders. At Summerhill Pools, we don’t just design pools – we design relaxing retreats right in your backyard. A big part of creating a great atmosphere around your pool is the deck, which is what we’re working on today. Each phase of the process has been overseen by our designer Gary Burns and our superintendent Dave Jetter. 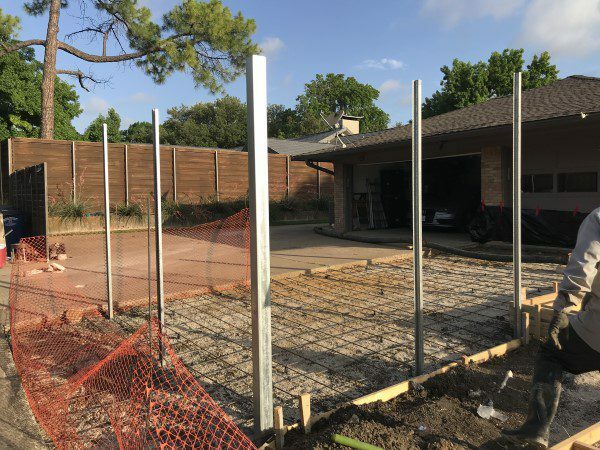 They work tirelessly to make sure that the pool design and construction processes are executed expertly and precisely while also adhering to local building codes. Now that the shotcrete pool shell is formed, our crews are ready to move onto the next stage of our project: pouring the deck. We always initiate this phase of the project after our shotcrete shell is formed. 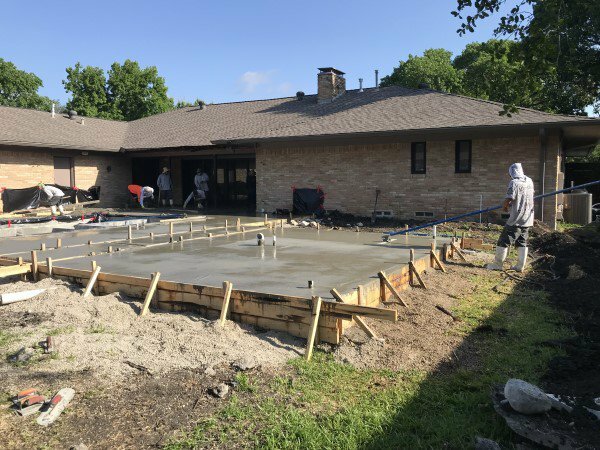 For this build, we’re building a concrete deck that goes nicely with the modern pool design we’ve implemented. The deck will eventually have a fire pit system, LED lighting, and other high-tech features. The fire pit and lighting will be controllable by remote or smartphone. Summerhill Pools is not the fastest pool builder in town. We take the time to make sure that your pool is built to last and that it adheres to local building codes. At Summerhill Pools, we use only the highest quality materials and the best construction methods. When you get a Summerhill pool, you can rest assured that you’ll get an alluring pool that lasts a long time. Call us today to learn more.